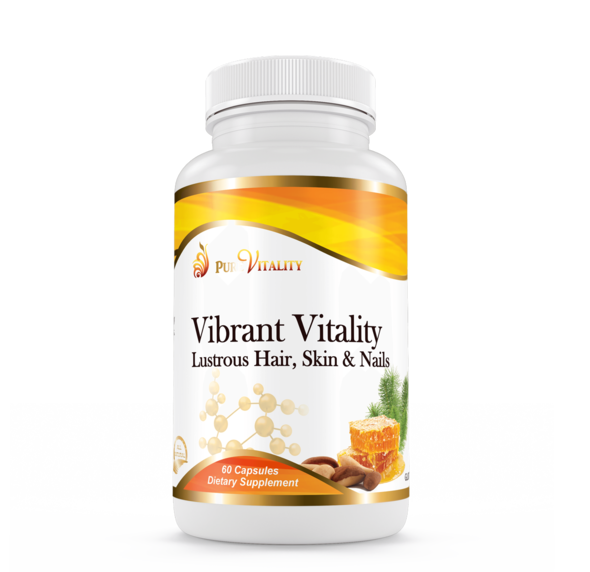 Vibrant Vitality is a excellent supplement product that can bring the health back to your body, allowing you to radiate with a glow of healthy skin, hair and nails from within. The ingredients in this supplement are sourced specifically to add shine to dull, brittle hair and nails, encouraging the growth of new tissues and the elimination of old, dead tissue that often causes an unappealing appearance. Marine collagen, MSM, Horsetail Extract, L-Cysteine and Grapeseed Extract are combined to provide you with smooth, supple skin so that you can enjoy a radiant glow at all times. 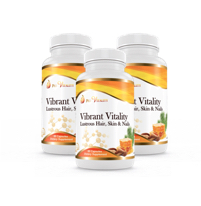 As you can see, there are plenty of benefits in this supplement no matter what you might be looking for Vibrant Vitality will give you a full range of nutrients and herbs that your body can put to good use in many different ways. 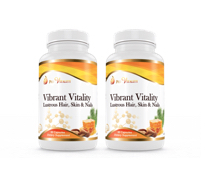 It will be up to you to balance your diet and give your body the nutrients that it really needs, but Vibrant Vitality can help. That’s right! 100% money-back guarantee…no questions asked! If you’re not absolutely impressed with your purchase after 90 days, send it back and get a full refund or product replacement - whichever you prefer. We do not want you to have any product from us which does not fully meet or exceed your expectations.